Motor Supply was awarded the coveted 2014 Award of Excellence from TripAdvisor, the world’s leading community-generated travel & restaurant rating system, making the farm-to-table restaurant a winner from every year the award has been given. 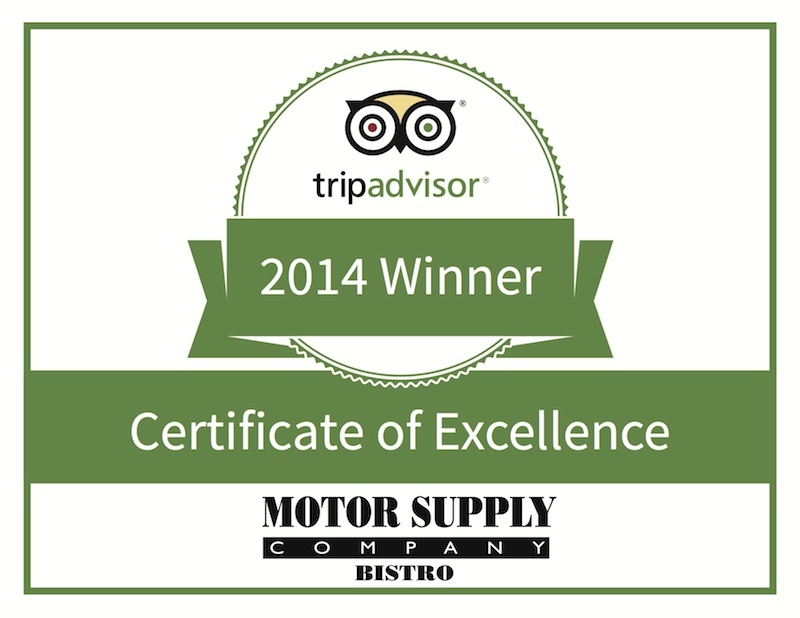 Motor Supply holds the highest number of TripAdvisor reviews out of the 5 Columbia, S.C. restaurant winners. Motor Supply Co. Bistro prides itself on unique, made-from-scratch meals in a variety of styles, prepared from local, sustainable ingredients by accomplished Executive Chef Wesley Fulmer; an extensive wine list and periodically changing artisan cocktail lists; a contemporary, refined yet relaxed atmosphere and friendly, efficient service. Looking for more? Browse Motor Supply photos, read more news, shop or make reservations.